In an alternate version of the roaring twenties,Sheila Stix is a small time criminal at the lowest possible rung of the largest goblin gang of River City, the Viper Gang. She manages to scrape by with enough money to eat, sleep and most importantly, keep up to date with all the latest fashions. But when an average trade goes horribly wrong, resulting in the death of several of Sheila’s gang-mates, its up to her to find the culprit before her boss decides to punish her for her failure with a brand new pair of cement shoes and a free trip to the bottom of the river. 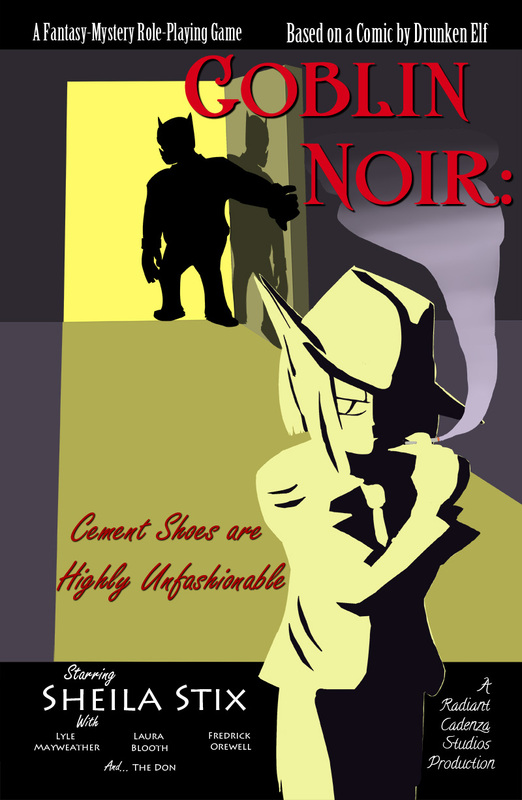 Goblin Noir: Cement Shoes are Highly Unfashionable is a RPG/Visual Novel with a conversational debate-based ‘battle system.’ Sheila is a low level goblin; it would be suicide for her to attack anyone in a regular fight! But she does have a quick tongue that she can use to talk her way out of danger. Search for clues, gather information, and find the culprit before the night is done. Free download available on this page. If you enjoy the game, please support us by helping spread the word about it, and also by voting for it on the contest page.